While Adele is off on pregnancy-leave, what better time to check out other (better?) artists in the same genre? In addition to Brandi Carlile, check out Cold Specks, which is primarily the work of Canada-born and London, England-based singer/songwriter Al Spx. Having rapidly gained attention and appearing on Later With Jools Holland last year, Cold Specks has released their critically-acclaimed debut album, I Predict A Graceful Expulsion, on Arts & Crafts Records. To get a feel for the band, check out below recent performances by Cold Specks (sometimes with band, sometimes without) who have/has been making the rounds in support of the album. We like what we hear. Simple, yet lyrically complex. Intelligent, and not afraid to use it. And yes, the girl can sing. Lana Del Rey does not shy away from controversy. Just in time for the 4th of July, Del Rey has released an official video for her song, National Anthem. In the video, A$AP Rocky makes a cameo as Camelot’s John F. Kennedy, while Del Rey appears (apparently) as an amalgam of JFK’s loves–starting with Marilyn Monroe and segueing into Jackie Kennedy. Back in the day, this would have been considered treasonous and/or heretical in certain segments. Nearly 50 years later, time has soothed (not healed), and the American iconography has been repeatedly scrambled and reinvented in an attempt to examine the inexplicable. Regardless, we’ll take the unsettling imagery and bravura just to catch that gorgeous…chorus. To help segue properly into the weekend, check out Tenacious D performing Deth Starr and Throwdown last night on The Daily Show with Jon Stewart. The brazen boys are touring in support of their new album Rize of the Fenix. Catch the hilarity below, courtesy of The Audio Perv. The big-hearted Avett Brothers have a new Rick Rubin-produced album imminent entitled The Carpenter. 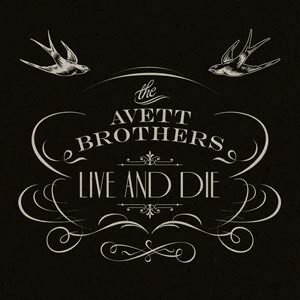 The band has released the first song off the album, Live and Die. You can listen to the banjo-buoyed song HERE. After reading up a bit, we must add our prayers for bassist Bob Crawford and his daughter, Hallie. How could you not bring in Crawford to help cover Closer Walk With Thee on Memorial Day? As always, the Avetts do life with soul and grace. We continue to scratch our heads and wonder how Adele can be so popular and not others. If there was any justice in the world of music, Brandi Carlile would be at least as popular as the Grammy-winning Brit. Check Carlile out below singing her moving song, That Wasn’t Me, off of her fine 2012 album, Bear Creek, on The Current. Oh how the girl can sing. You can go to The Current HERE to listen to the whole session. The lyrics are below the video. Did I cause you to stumble onto your feet? Does it show when I am weak? Let’s not beat around the bush. Chicago’s Like Pioneers’ new album, Oh Magic, is our Favorite Rock Album of the year so far. While we won’t deny the talent-tossin’ swagger of the Blunderbuss house that Jack White built, nor the kinetic appeal of Japandroids’ Celebration Rock album, Oh, Magic is a hook-filled indie-rocker with more cohesion, art and intelligence than either of those or any other rock albums released so far this year. There. We said it. Having grown a little gummed up in the first half of the year with predominantly softer and syrupy sounds, we had been straining to hear some rocking abandon to help kickstart our summer. And then Like Pioneers came hurtling down to hypnotize with Oh, Magic (on Abandoned Love Records). You knew this band was capable of big things after 2010’s debut album, Piecemeal, which included superb throttlers like Crop Circle Plus Legs (one of our favorite songs of 2010), but we weren’t prepared for the quantum leap made by the band on their new album. Like Pioneers’ hook-laden, indie-rock sound bears the influence of the best of the best: The Replacements, The Walkmen, Guided by Voices, Modest Mouse, Nada Surf, and even a bit of Built to Spill. But the Chicago lads (Bobby Gallivan, Jesse Woghin, Dan Radzicki, and Matt Holland) and lass (Janie Porche) add just the right twists and turns, mixing in dexterous and dynamic divergences to create their own unique sonorities and make the sound their own. Add to this mix the fact that Mike Lust, who engineered and recorded the album, and the band have masterfully produced the album with incessantly apt Factory Records-esque drum, bounding bass and propulsive guitar effects and sounds throughout. As we said, there are great melodies throughout the band’s songs, but where Like Pioneers really shine is in the intelligence of their lyrics and their inspired delivery. Like many of our favorite bands (REM, Radiohead, etc. ), the band’s lyrics feature enigmatic, elliptical wordplay that nevertheless enable the spirit and meaning(s) of the songs to shake through. Each listener is left to conjure his or her own throughlines from the marvelously malleable lyrics. To go way out on a limb, Oh, Magic is a concept album of sorts. The listener is left to decide which concept(s) to adopt. Various themes consistently run through the songs (with only limited breaks or diversions). Though the songs sing generally of adversity, loss, resolve and renewal, you might hear more specific themes, such as lamentations for forgotten bands and music, and musicians falling in and out of favor (particularly in this Anno Domini Domini era). Or you may hear tales of relationships drowned but still breathing. Or the songs may sing to you of a nation (America) past its prime. Still again, you might recognize family/generational issues (boomers/parents vs. youngers). Or, all of the above. Regardless, we guaranty you will be moved. “Let this be the reason we’re trying. Let this be the season we’re dry. “Ghosts that come to me come through the stereo. And there’s nothing quite like it, the sound of leaving. “Lonely Adora, I’m on my way. Lonely Adora, I’m on my way, don’t move anything. and helped us back to our feet. “Holding down, down. Holding down, down. 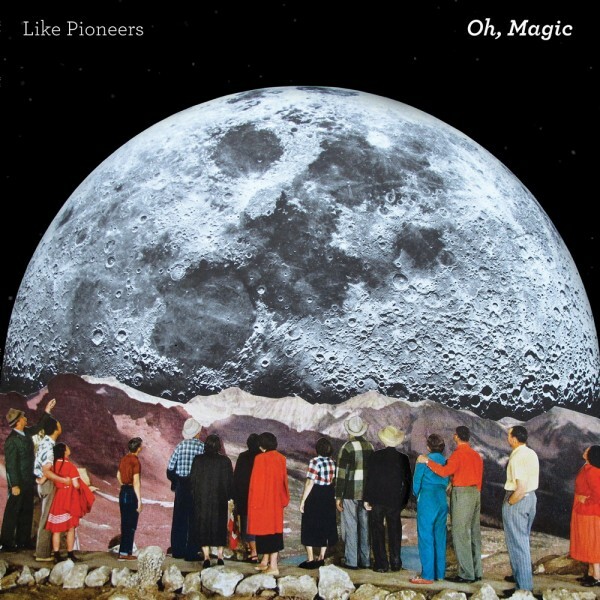 So listen up: do yourselves and Like Pioneers a favor, and go buy (or stream if you must) the entire Oh, Magic album HERE. You will be richly rewarded. Like Pioneers have only made a few live appearances in recent months. We hope this is only a temporary state of affairs and that the band is merely off fine-tuning its stage act for an assault on America. To quote Neil Young on the subject: “It’s better to burn out than to fade away.” These songs deserve a large following and venues filled with ardent fans singing along at the top of their lungs. It would be, oh…magic. While you’re at it, check out the band’s official video for Tell ‘Em Ghost below. There have been quite a few underrated Bens in the musical realm. Folds, Howard and Kweller, come to mind for starters. Ben Kweller is one of our best songwriters and performers who’s been honing his craft since he was nine years old. Check him out below performing his initially unnerving, but ultimately touching, song On My Way for Boston’s Sleepover Shows while in his tour bus bedroom. And then go HERE to check out a couple more Kweller gems (Mean to Me and Gossip) courtesy of Sleepover Shows. 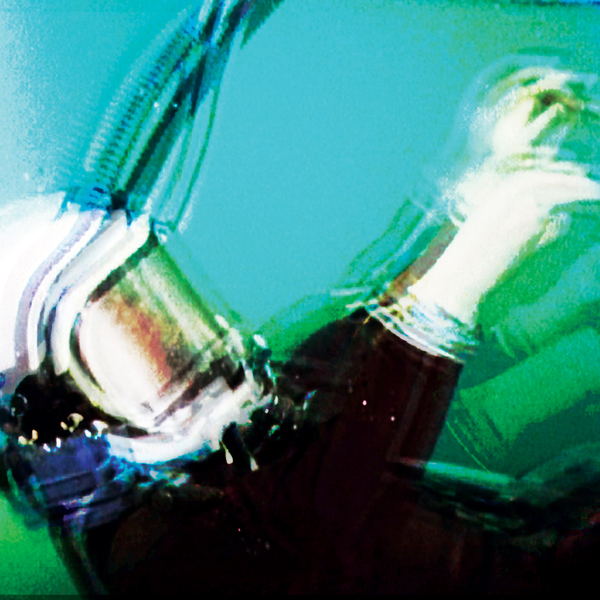 Two of our favorites, Yeasayer and The Antlers, have new recordings about to be released. 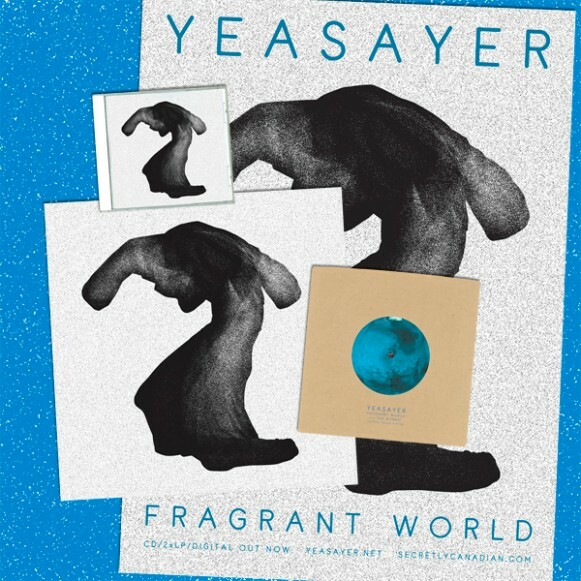 Yeasayer will soon release album Fragrant World, and The Antlers will release EP Undersea. You can stream Yeasayer’s new song, Longevity, off the new album below, and can stream The Antlers’ new song Drift Drive HERE. We were pleasantly surprised by the London duo known as Smoke Fairies when they opened for Dawes/Blitzen Trapper last October at Soho in Santa Barbara. Check the lasses below performing their song Awake for The Line of Best Fit Sessions. The setting adds to the midsummer night’s dream–you know, all sylvan and Peaseblossom and Mustardseed stylee. Turns out Tom Waits and his minions couldn’t read a flippin’ calendar when they announced in April that Waits would appear on the Letterman and Fallon shows later that month. Hmm…missed it by that much. What Waits and his wait-staff meant to say is that the Governor of Growl will appear on Letterman on July 9 and Fallon on July 10. Waits will be joined by his son Casey Waits on drums, long-time bassist Larry Taylor, guitarist David Hidalgo (Los Lobos), keyboardist Augie Myers (Sir Douglas Quintet) and guitarist Big Bill Morganfield (Muddy Waters’ son). You’ve been warned. Set your DVRs (though you might want to also set ’em for three months later….just in case).